Cheer Collection’s V-Shaped Down Alternative Pregnancy Body Pillow will indulge you with incredible loft, comfort and plushness. 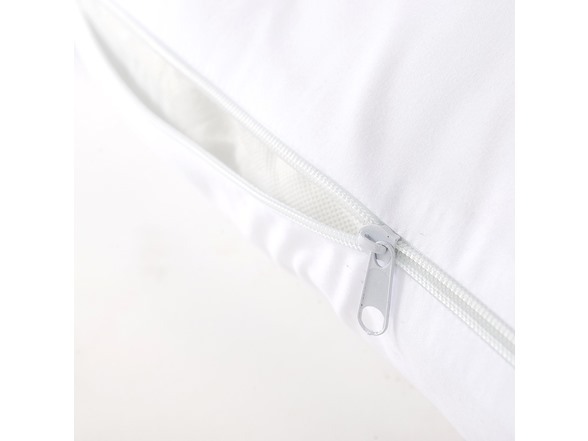 The wraparound pillow eliminates the need for multiple separate pillows and surrounds you in a cocoon of support. It helps relieve pressure to your head and neck, reducing your need to toss and turn. 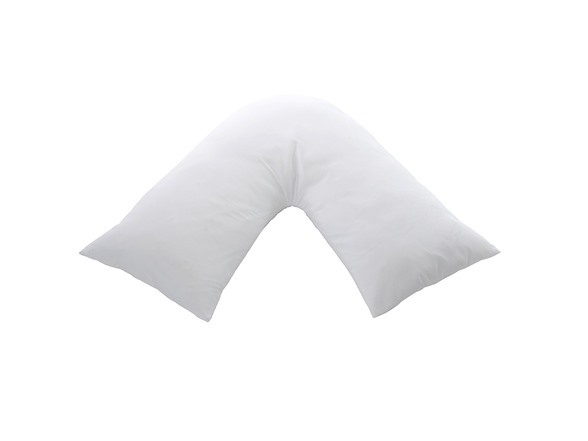 V-shaped pillows are perfect for pregnant women and those who need the support of a larger pillow. 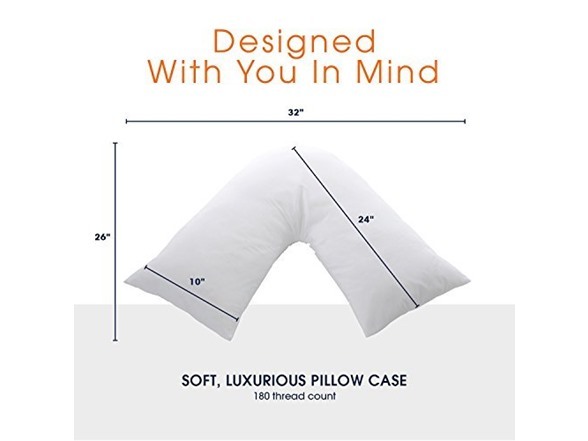 Why Use a V-Shaped Pillow? 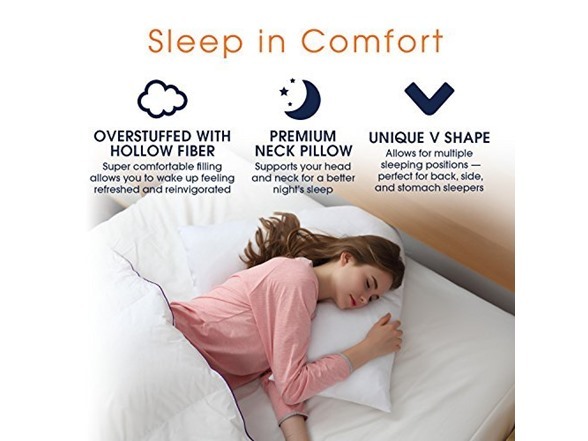 A V-shaped pillow is an oversized pillow that conforms to your body, providing exceptional comfort as well as relief from aches and pains. 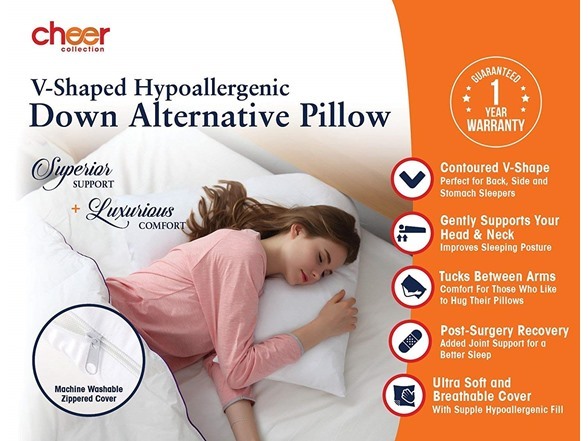 It can be positioned to support your head, neck and shoulders and placed between your arms.